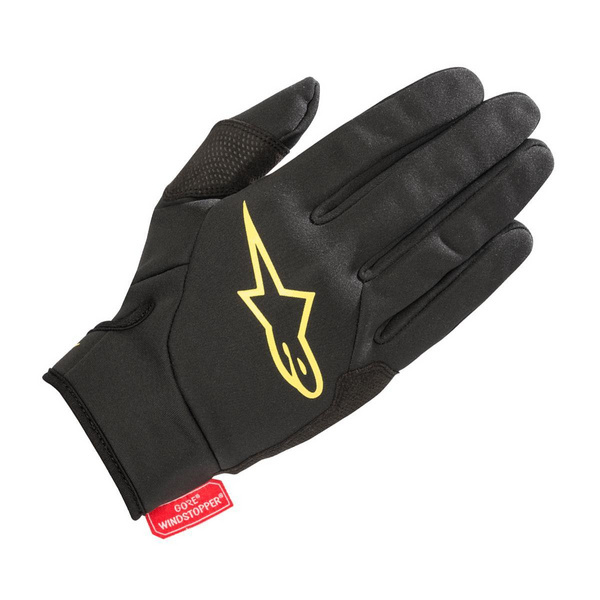 Incorporating the GORE® WINDSTOPPER® fabric for water repellency and protection against wind chill, the Cascade Gore Windstopper® Glove features strategic reinforcements and touchscreen compatible finger for a glove that is convenient and comfortable when the trail weather closes in. •Main shell constructed from GORE® WINDSTOPPER® fabric from GORE-TEX® which protects from the wind and offers breathability to help minimize the wind’s chilling effect while reducing the risk of internal overheating. •Thumb and palm patch reinforcement made from heat-stamped synthetic suede for grip and abrasion resistance. •Silicon grip patterning on fingers for lever control. •Hook and loop wrist adjustment for safe and secure fit.